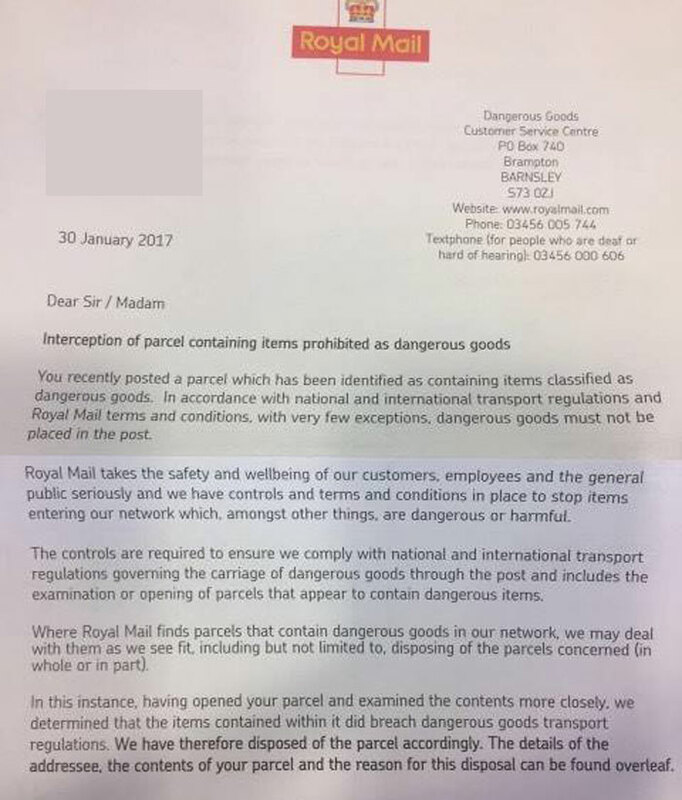 SHOCKING - Package Seized and Destroyed by Royal Mail! However this was mainly aimed at international air shipments but since then further rules have been introduced by the International Air Transport Association, or IATA for short, with their Dangerous Goods Regulations, which regulates the shipment and transport of “dangerous goods” (pretty obvious really!). So what does this mean for shipping batteries within the UK? Well it depends, but in answer to Affan’s question – unfortunately sending standalone batteries, as he is, is in fact prohibited by Royal Mail. So I’m sorry to be the bearer of bad new Affan, but sadly you can’t send batteries by themselves with Royal Mail. Each package must contain no more than 4 cells or 2 batteries contained in equipment. The maximum net quantity of cells or batteries contained in one package is 5kg. Cells and batteries must be manufactured under a quality management programme as specified in the ICAO’s Technical Instructions for the Safe Transport of Dangerous Goods by Air. Cells or batteries that are defective or broken are forbidden. Cells and batteries must be protected against short-circuit. The equipment containing cells or batteries must be packed in strong rigid packaging and must be secured against movement within the outer packaging. Make sure the device is off and can’t be accidentally switched on during shipping, and that it’s securely and firmly pacakged and finally that your name and a return shipping address are listed. And that’s it! It’s really very easy. One important point – when they ask you what your package contains at the post office, don’t lie! Just tell them it’s an electronic device that contains a battery and then simply state that the device is off and cannot be activated. The only other point I want to mention is that you can’t get around these requirements by using couriers as they’re subject to the same rules and regulations that Royal Mail are. Standalone batteries are still classified as dangerous goods and are prohibited, and lithium-ion batteries contained within a device can be shipped, but you’re normally required to fill in a few extra forms and affix a few extra labels. I hope this has answered your question Affan, even if it’s not good news, and I hope that this post has helped others as well. 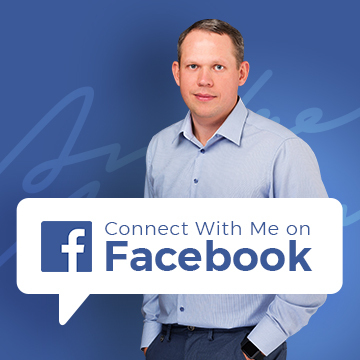 If you want your question answered by me, and possibly featured in it’s own Reader’s Question post, then please get in touch with me via my help desk here and I’ll get back to you within 24 hours, Monday – Friday. And even if I don’t select your question for one of these posts, you’ll still receive a reply from me. So what is there to lose? If there are no batteries included, there are no shipping restrictions on that item. The rule used to allow lithium batteries if they were new and in the manufacturer’s packaging but that changed in Jan 2018. The fly in the ointment is that Royal Mail use the belly space on passenger aircraft and that RM is a bit more draconian than some other. DHL and some others use their own cargo aircraft where the rules are different. Although this is an old thread, I’ve been looking into this and have some info that may be useful. The better quality carriers will legally ship items classified as dangerous goods (but not those classified as prohibited) if you are shipping on a regular basis, i.e. several packages a month. They will work with you to ensure that your packages are suitably packaged and correctly labelled. The aggregators obviously won’t do this, I doubt if many of the budget carriers will, and I don’t think Royal Mail/Parcelforce will even if you have a business account with them. Also, shipping rates will be higher, to cover the extra paperwork and requirements for safe shipping. Well, I’ve just had the same experience as described in this blog-post. Amazon UK asked me to return my XBox Plug And Charge Kit back via Royal Mail, which I did. I even included all the relevant info, on the outside of the box, and double-checked with the Post Office staff, who told me that “Yes”, I could send this item back to them. 14 days later, and I get the same letter as Affan received, and Royal Mail are telling me the item is dangerous. Yet, I have had packets of Duracell Batteries sent from Amazon, and Amazon Sellers, via Royal Mail many times over the years, and on occasion returned such batteries too, via Royal Mail, all without any complaint or hitch. If a battery is dangerous, it’s dangerous, is it not? How can it NOT be dangerous to send 10 or a dozen batteries in a thin packet of cardboard, yet it IS dangerous to send just one or two batteries, surrounded by plastic, cardboard and an outer packaging as well? And – more to the point – if companies can send batteries or items containing these allegedly explosive batteries out to customers, but customers cannot return them, then this is double-standards, is it not?! Ultimately, if these items cannot be sent via any UK postal or courier company, because they are dangerous, then surely these same items should not be purchasable in the UK. How can 500 x packets of 4xAA batteries being shipped within the UK, for a supermarket be okay, but I cannot send one packet of AA batteries back, because it’s “dangerous”?! I’m currently selling in Australia and want to start selling my products on eBay UK which contain a lithium-ion battery within the device that can’t be taken out. Am I going to have issues sending this to customers in the UK? It’s CE certified which i think is the European certification. But here in Australia at our postal office they don’t ask me these things, just require me to fill in a customs declaration for international post. Is there anything I need to do from here before posting to the UK? It precisely describes what is allowed and what is not allowed. Andrew, thanks for the RM link, but my question was if you know how Ebay sellers post perfumes overseas if these items are classed as prohibited/forbidden. They simply ignore the rules! Last year I wanted to send a pack of 4 small gas canisters used for camping stoves. However I had that exact problem no matter what courier company I used they all had the same rules. What I want to know is, how do others send them? There are loads of listings on eBay! Does this mean the sellers are sending these items illegally so to speak? 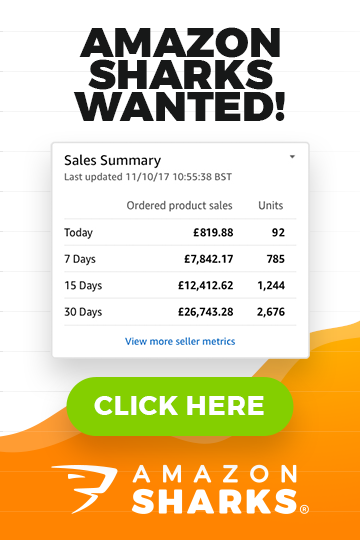 The answer is sadly that those sellers are ignoring the rules. I have tried it for myself ordering Lithium batteries of eBay sellers and they arrive in the post. The situation is ridiculous because RoyalMail class small 3V lithium coin cells as dangerous goods and prohibit sending them. While there is justification for considering high power lithium batteries such as laptop batteries as dangerous the energy in a small lithium coin cell is insufficient to be considered dangerous. RoyalMail are the only ones that will not take coin cells, other carriers have no problem with them. Yes, that is unfortunately correct. Many sellers just ignore these rules and smuggle such shipments into postal system without properly declaring what’s in them. What about perfumes? I have recently had a letter from RM saying that sending perfumes overseas (Rep of Ireland) is against the rules. The perfume was a bottle of 200ml brand new item, retail sealed and safely packed in bubble wrap. I’ve seen other sellers on Ebay selling the same perfume and they do send it overseas, although most of them wouldn’t ship to Ireland. Do you know what is the reason? ?